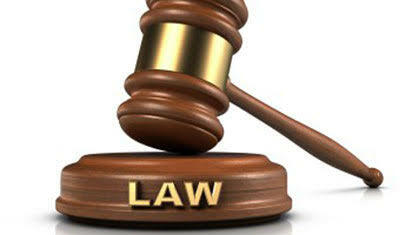 Why ASN is right to sue the Akwa Ibom state government. When I was growing up in the eighties, I associated churches not just with religion, but with schools and hospitals. One could not talk about schools without saying the names the Catholic saints they were typically named after, and the same went for a lot of healthcare institutions. Being raised Catholic, I assumed Roman Catholicism was closest to the ideal religion and that all other religions were, at best, slightly misled and not to be taken seriously. I started using prescription eyeglasses at seven, and I recall an incident when some white garment evangelists made it all the way to the staff quarters at the University of Port Harcourt, Choba Park, where we lived. I can't remember if they were barefoot, as they tend to be nowadays. They knocked on our door (our parents weren't in) and were let in by someone in the house, I can't remember who. They said they were there to pray for us and heal us, and asked if anyone had something they wanted healed. With typical childish open-mindedness and a precocious recognition of short sight as a disability, I was quick to say “my eyes”. I will admit to being a bit excited by it all. Nothing I had come across led me to believe it was possible for people to pray and heal any ailment, but I would be glad if they could do it. So they prayed, laid hands on my head, and did what I later came to know was called “Speaking in Tongues”. I still wear glasses, and the short sight is slowly being corrected as the long sight that most people begin to get at my age sets in. So, on the whole, a mildly entertaining, highly ridiculous (my siblings and I laughed about it for years) but mostly disappointing experience. Entertainment at best, silly for the most part? Not any more. Today some of these once mushroom organizations have risen to unprecedented levels in Nigeria, with their heads publicly rubbing shoulders with the highest elected officials, displaying obscene levels of affluence, but with none of the education and health-care mandates that I had learned to associate with religious organizations while growing up. I've always felt everyone has the right to do as they see fit (within the law, of course) with what they own. It's the responsibility of government to provide schools and hospitals (among many other things), after all. Nigeria is very underdeveloped in terms of infrastructure, so there's a lot of work to be done in that regard. Akwa Ibom state in particular, has one of the highest rates of poverty and unemployment in the country. This is why I found it extremely offensive and disheartening to learn that the government of Akwa Ibom state has endorsed, promoted and campaigned for an “International Worship Centre” to be built in the state capital of Uyo, and has used public resources to support the N10 billion (USD $ 27,000,000) project. That the project is purely religious is not in doubt. The foundation stone was laid in a religious dedication by one Pastor Enoch Adejare Adeboye, founder of the Redeemed Christian Church of God – once a small prayer group but now one of the largest and most affluent churches in Nigeria. Using public funds for the benefit of one religious group clearly discriminates against all the others. To avoid discrimination, the government must equally support all religiously defined groups, or none at all. In a country where religion and ethnic sentiment are barriers to accountability and progress, the Atheist Society of Nigeria (ASN) is an organization that works with state and non-state institutions to promote and protect the rights and interests of atheists, freethinkers and nonbelievers in the country. Like me, ASN is not opposed to the building of religious centers for any religion - it is opposed to unconstitutional state involvement and use of public funds for projects that should be matters for religious bodies. ASN has asked a court to rule on the constitutionality of the state government campaigning for building a religious center, and dedicating public resources to it. With the rampant abuse of power and lack of accountability in Nigeria, this is a case that takes a step towards making Governors and other public officials aware of public scrutiny and willingness to take action, and also towards reversing the harm that uncritical reverence for religion allows in the country. The era of religious organizations in Nigeria as bastions of education and human welfare seems to be long gone. It would be tragic to allow the diversion the available meager public funds to the questionable benefit of one religious group. Written by George (ASN Member).